We live in a digital age, buy and sell in a digital economy, and consume—oh do we consume—digital media. The digital lies at the heart of our contemporary, information-heavy, media-saturated lives, and although we may talk about the digital as a cultural phenomenon, the thing itself—digitality—is often hidden to us, a technology that someone else has invented and that lives buried inside our computers, tablets, and smartphones. In this book, Robin Boast follows the video streams and social media posts to their headwaters in order to ask: What, exactly, is the digital? Boast tackles this fundamental question by exploring the origins of the digital and showing how digital technology works. He goes back to 1874, when a French telegraph engineer, Jean-Maurice-Émile Baudot, invented the first means of digital communication, the Baudot code. From this simple 5-bit code, Boast takes us to the first electronic computers, to the earliest uses of graphics and information systems in the 1950s, our interactions with computers through punch cards and programming languages, and the rise of digital media in the 1970s.Via various and sometimes unanticipated historical routes, he reveals the foundations of digitality and how it has flourished in today’s explosion of technologies and the forms of communication and media they enable, making real the often intangible force that guides so much of our lives. "All that you wanted to know about the digital, and forgot to ask the telegraph operator. Robin Boast's smoothly flowing book offers a historically contextualised argument about our contemporary culture of computation that actually reveals it to be at least as much about encoding, tabulating and other techniques that connect the digital to a history of transmission. 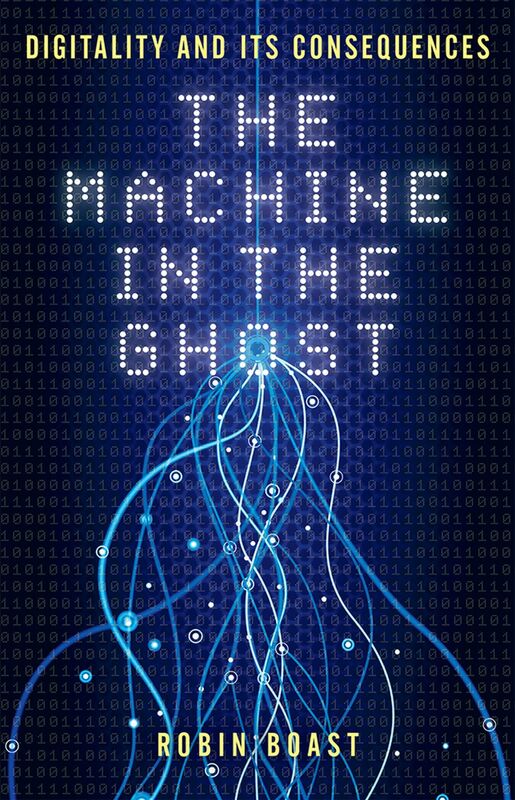 The Machine in the Ghost transports us to the 19th century and back via a whole lot of punched cards, coding and cybernetics - and much more. Boast is able to write with such flair that the book speaks to both academics and the general audience who want to understand the cultural history of our contemporary culture."